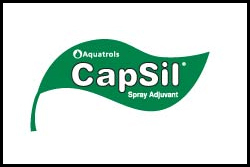 CapSil ensures uniform spreading and coverage of foliar directed sprays on the first application. You get the results you expect and avoid the expense of unnecessary repeat treatments. Avoid unnecessary repeat treatments, use CapSil.